Search for all "IFNA5 / Interferon alpha-5"
Rabbit anti Equine, Guinea Pig, Human, Mouse, Rat IFNA5 / Interferon alpha-5. 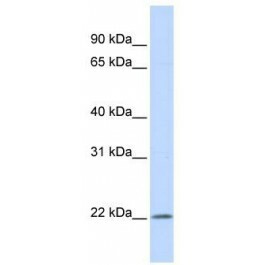 The immunogen for anti-IFNA5 antibody: synthetic peptide directed towards the middle region of human IFNA5. Synthetic peptide located within the following region: TELYQQLNDLEACMMQEVGVEDTPLMNVDSILTVRKYFQRITLYLTEKKY.